There are a couple of things to watch out for when you’re visiting Hawaii. Planning for or avoiding these problems will help you have the vacation of your dreams and the time of your life. Hawaii is a beautiful place with stunning landscapes, welcoming people and tons of things to do to make the most of a restful or exciting vacation. Wherever you travel, though, you’ll need to be aware of a few things so that you can stay safe and enjoy yourself fully. So, purchase your plane ticket, book your hotel, pack your suitcase and study up on the top 5 things to watch out for when visiting Hawaii. Listen to these precautions and you’ll be well on your way to a Hawaiian vacation filled with memories that will last forever. When you travel to Hawaii, you’re probably going to visit some astonishing sights, such as volcanoes, towering cliffs, craters, jungles, beaches and more. Mother Nature produces some brilliant natural wonders, but you must exercise caution and heed safety warnings when trekking into the expansive and unpredictable landscapes that make up the beauty and variety of Hawaii. Your health and wellbeing depend on you being aware, cautious and smart with your adventures. Interact with rough terrain, high waves, remote forests and hidden trails with safety in mind, so that you come away from the experience with more knowledge of the island and an admiration for the power and awesomeness of nature. Learn as much about where you’re visiting as you can before you arrive, always let someone know where you’re going, bring food and safety supplies with you and ask locals for advice on how to best enjoy Hawaii’s topography. The weather in Hawaii can be intense and entirely different from what you’re used to. Before you come to Hawaii, keep in mind that you’ll need to prepare for staying safe in the sun. You’ll also be much better off if you know the basics about how to deal with the rare emergencies, such as floods, tropical storms and hurricanes. The hotel you’re staying at will likely help you out if a natural disaster hits while you’re on the property, but you’ll need to research safety tips for encountering extreme weather when you’re on a hike, at the beach or simply out and about on the island. Also remember that Hawaii is very close to the equator, and the sun’s rays are strong. Even if you don’t think you need it, protect your skin with sunscreen that has a high SPF, and bring lots of water with you wherever you go. Hawaii is filled with friendly and welcoming people who truly want to share their island and culture with you. However, it’s important to remember that no matter where you travel in the world, you should take measures to protect yourself in unfamiliar places. Keep all valuables and cash safely locked away, or don’t bring them at all. Remember personal safety and boundaries at all times when you’re exploring places that you aren’t familiar with. Travel in groups of two or more, and be practical when it comes to making deals that seem too good to be true. Because Hawaii is part of the United States and thus has a developed infrastructure, it is usually safe to drink the water and eat the food. However, you still must use caution when it comes drinking or eating anything that your body has had a reaction to in the past or when trying foods that you’ve never had before. If you are taking any medications, bring enough to last through your entire vacation. Make note of any special medical needs that you may have and how you can obtain the proper medical care for your situation on the island you’re visiting. We’ve touched before on all of the wonderful ways that you can see Hawaii for cheap. Even if you plan on taking in mostly free attractions, such as surf and sand play, hiking, natural landmark viewing, etc., there are plenty of tour companies and other groups that will vie for your dollar. 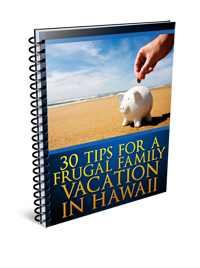 To keep to your budget, fill up your days with all of the inexpensive activities that you’ve planned for, and know that you absolutely can get an authentic Hawaiian experience by showing yourself around the island at minimal cost. If you want to book the best-value tours and activities in Hawaii and get the most for your money, check out Hawaii Activities, where you can book more than 500 of the hottest tours in Hawaii! 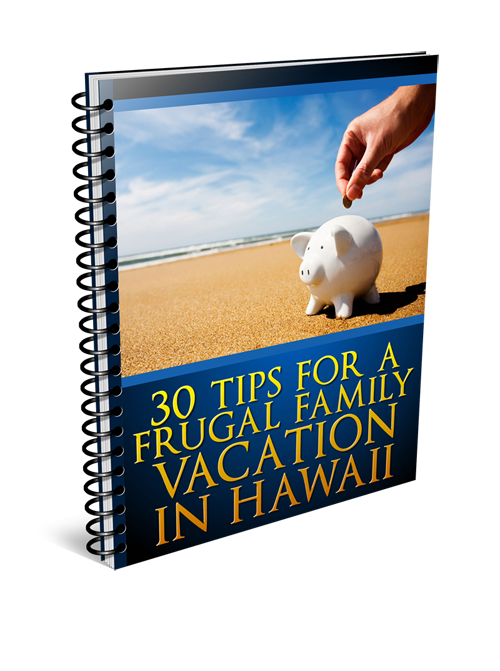 Remember these simple tips and you’ll have the vacation you’ve been waiting for.